The irregularity of our teeth is not only an aesthetic problem. If our teeth cover each other, it is hardly possible to clean our teeth in the appropriate way. Besides, the bacteria proliferating in the plaque can lead to dental caries and gum diseases. In more serious cases, problems related to speaking and chewing can occur, as well as swallowing disorders and problems concerning the temporomandibular joint. When do we need an orthodontic treatment? When should we start the treatment? What possibilities exist in the field of orthodontia? 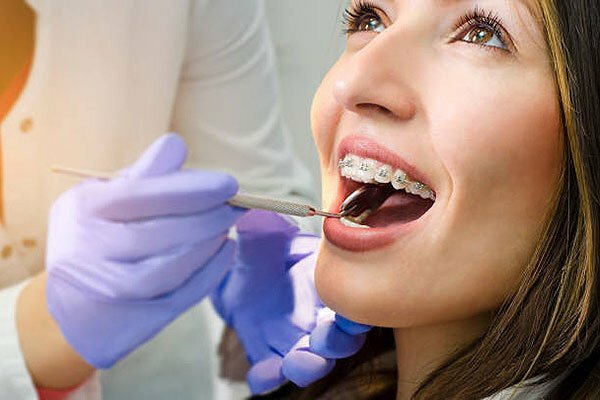 What should we keep in mind during a treatment with braces? Our desire for a regular set of teeth is not a recent trend. For example teeth corrected with the help of a golden net were found during excavations in the territory of the ancient Roman Empire. 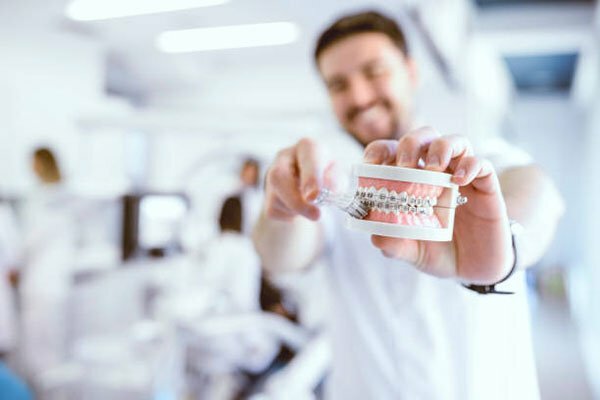 Instead of the cumbrous braces known from the movies of the 1980s and 1990s, nowadays we can choose from much more aesthetic solutions. Irregularities mostly occur with the eruption of permanent teeth after losing our baby teeth. During dental examinations organized by the school the dentist can notice these problems. The most frequent defects are positional disorders affecting one or more teeth. The constriction of the dental arch and the different positions of the upper and lower jaw to one another also make an orthodontic treatment necessary. The correction of developmental disorders of the palate and the jaw in many cases requires surgical reconstruction and adjustment. The ideal time to start wearing braces always depends on the type of the problem. Dentist decide it for each patient individually. For preventive purposes, young children can start orthodontic treatments even before the appearance of permanent teeth, at the age of 6 or 7. In this case, the treatment will be shorter later on. 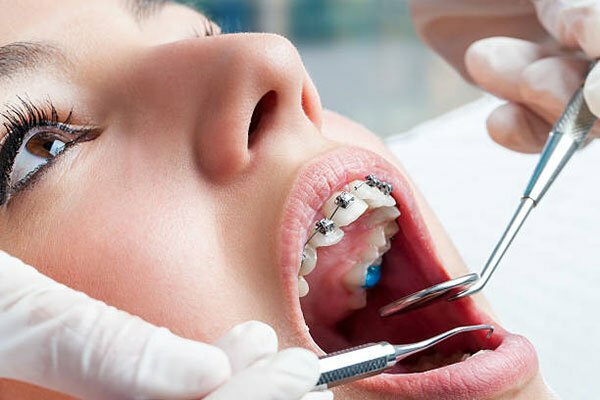 Earlier, the general opinion was that an orthodontic intervention is less successful after the age of 18-20 when it is too late to start treatment. However, we know today that our bones keep their ability for reconstruction throughout our life. This means that we can start the treatment even after we turn 70. Determining when to start the treatment and what device to use for treatment is a competence of the orthodontist. However, we should know the possibilities ourselves. There are two main categories of devices: removable and fixed braces. In special cases the patient might need to use a corrective device outside the mouth and fitted to the head. Traditional, removable devices – they are usually applied for nocturnal use. The device consists of a passive plastic and an active metal part. There are devices made separately for the lower or upper set of teeth, and also ones that adjust the lower and upper set of teeth jointly. With the nocturnal devices it takes longer to achieve the desired result than in the case of fixed devices. Their benefits are that the patient does not need to wear them during the day and they are easy to clean. However, some people find it difficult to get used to wearing them. Invisalign – this device is a very up-to-date solution and it is hardly noticeable from the outside. This device, made of special plastic, is completely transparent and it snuggles against the teeth. With every change in the position of the teeth has changed, the patient needs a new device. It means that the patient needs a check-up every two-three weeks. The patient must remove Invisalign while eating. Its advantage is that it is almost invisible, but it is more complicated to clean. Fixed devices can be fitted to both the inner and outer surface of the teeth. So called brackets are fitted to the surface of the teeth with a special dental glue. These elements are glued to the teeth one by one, and they have so called wings where the arch of the braces can be fitted. Brackets can be made of medical metal, ceramics, plastic or a combination of these materials. The arch is fixed to the molar rings fitted to the molar tooth. A tiny rubber ring is put on the brackets. Fixed braces usually remain on the teeth for 1-3 years. After removal, it is necessary to wear retainers at night in order to maintain the achieved result. Device fixed to the outer surface of the teeth – one of its benefits is the affordable price (the brackets made of medical metal are cheaper than ceramics). Among its disadvantages we can mention that it is difficult to clean after eating sticky food, and the version made of medical metal is conspicuous. A device fitted to the inner tooth surface – its benefit is that it is invisible from the outside, but its cleaning can cause difficulties and wearing it can be inconvenient. SureSmile – a device fitted to the inner tooth surface, which is special because a virtual 3D model is made of both the lower and upper set of teeth before the treatment. Based on the image, specialists can prepare a precise treatment plan and, with the help of the SureSmile programme, a robotic arm bends the arch of the braces into the most ideal position. 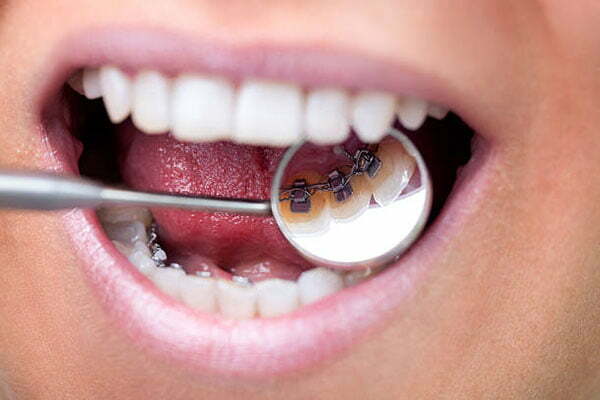 The braces are fixed to the brackets fitted on the inner surface of the teeth. People wearing the SureSmile braces reached the desired effect much sooner than those wearing the traditional fixed braces.